The Valencian company has 75% of women in a staff "hired based on the talent of their workers"
The biotechnological company specializing in plant health ValGenetics, installed in the University of Valencia Science Park, has received the Mujer Agro Award in the 'Company' category for promoting equal opportunities in the agri-food sector. Specifically, the jury has valued that the company has "75% of women in a staff hired based on the talent of their workers", as explained by the organizers, the communication agency Siete Agromarketing and the digital e-Comercio Agrario. For its founder and CEO, Maria R. Albiach, "this award is a recognition of the importance of equal opportunities and reconciliation in the world of business and, in particular, how in ValGenetics these policies have helped to generate a suitable work environment for the growth of the company ". "With management and technical positions covered by highly qualified women, ValGenetics has created a name and reputation in the sector as a laboratory for plant and microbial genetics, phytopathology diagnosis and sanitation through in vitro culture," underlined Albiach. The ValGenetics team at its offices in the Science Park. 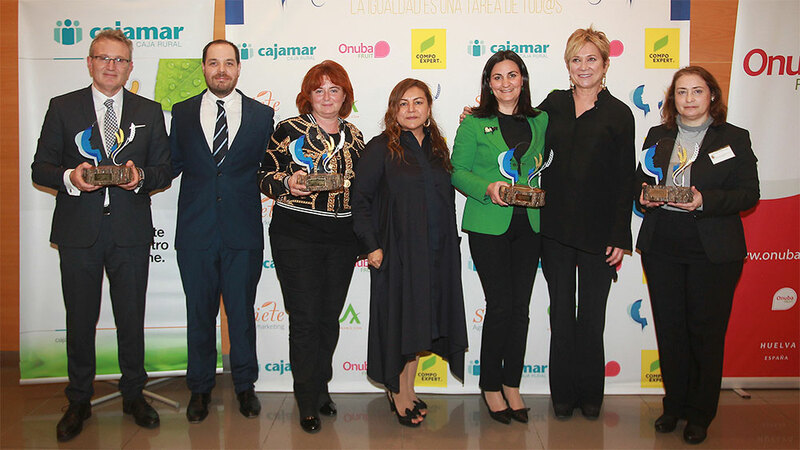 More than 100 representatives of the Spanish agri-food sector wrapped up the winners in the first edition of the Mujer Agro Awards. They are part of the set of initiatives developed by #mujerAGRO, a forum that brings together more than 200 women and men managers, professionals, entrepreneurs and members of the entire agri-food chain in order to make visible the work carried out by women in the sector. At the awards ceremony, held on January 17 in the auditorium of the Ministry for the Ecological Transition, was also recognized, in the category 'Entrepreneurship', Casa Gutier, "for its contribution to the local economic development of a company dedicated to the production of high quality meat. " Mariló Corral, president of the Cooperativa La Esperanza del Campo, of Cuevas del Campo (Granada), received the honorary prize 'Mujer Agro' for her commitment and permanent dedication to the issues of equal opportunities in the bosom of agri-food cooperatives. And Ricardo Oteros, CEO of Supracafé, was awarded in the category 'Man' for his commitment to the coffee growers of the Cauca region, in Colombia, after developing various initiatives to support local populations. The awards were a platform to "reclaim the need for the PAC to have instruments that favor the professional development of women in the agricultural sector, the need for more women to access relevant positions at the managerial level in the agri-food sector, and the requirement that private sector companies adopt policies of conciliation and gender equality for the development of higher quality jobs", explained Maria R. Albiach.